Interstate Accident Reconstruction Consultants (IARC) was founded in 1993 by Peter Murphy to provide accident reconstruction services to insurance providers, the legal community and individuals. 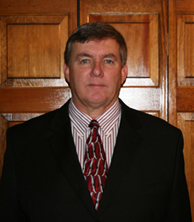 With an associate degree in civil engineering and 34 years of experience in law enforcement with the Massachusetts State Police, Mr. Murphy has gained extensive training and experience in accident investigation and accident reconstruction. Mr. Murphy’s high professional standards provides quality assurance for your reconstruction needs. In addition to his 34 years of law enforcement experience, he has served as an instructor in all levels of traffic accident investigation to police officers in Massachusetts. He has served on the Adjunct Faculty Staff of the University of North Florida's Institute of Police Technology and Management (IPTM) and has lectured at IPTM’s Special Problems Seminars and other professional seminars. Mr. Murphy is currently on the board of directors of the International Association of Accident Reconstruction Specialists (IAARS). Mr. Murphy has been certified by The Accreditation Commission For Traffic Accident Reconstruction (ACTAR) - (#259) since 1993 and has been a certified Worksite Traffic Supervisor with The American Traffic Safety Services Association (ATSSA) since 1994. Upon retirement from the Massachusetts State Police in 2008, Mr. Murphy started operating IARC in a full-time capacity. Associates employed by IARC are either ACTAR certified or possess proper qualifications in their field of expertise for expert witness qualifications. Mr. Murphy has conducted research and co-authored several published works concerning night-time visibility issues and human factors of motorist processing of traffic control devices in road construction zones.